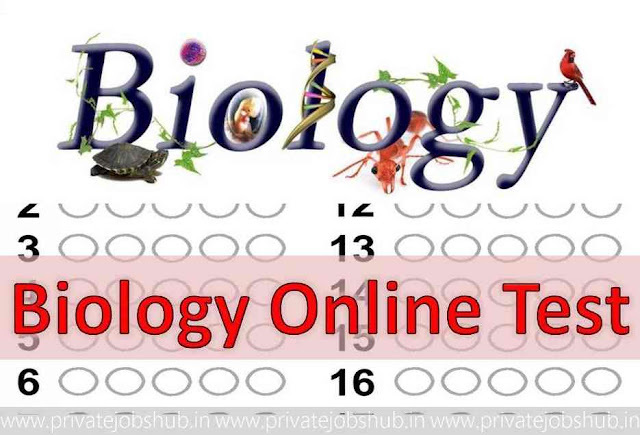 Biology Online Test: Are you looking for Biology Online Test 2018?? Then you are at right place! Here we are providing you Free Online Biology Quizzes with Answers; these questions are developed by our expert team. We had provided 20 questions with answer you just need to scroll down page and attempt these questions. Doesn’t worry about your performance you will get detail analysis of your test with answer. Question 1: 7.40 is a Ph value of? Question 2: The blood group which is rarely found __. Question 6: The important sugar in honey named as? Question 7: The Chromosomes found in the human gene is __i number. Question 9: Which of the below acid found in Vinegar? Question 10: Largest bone in the human body is __. Question 11: Ordinary table salt is sodium chloride. What is baking soda? Question 14 When population is sympatric it’s called? a. Two populations are physically isolated by natural barriers. b. Two populations live together and freely interbreed to produce sterile offspring. c. Two populations share the same environment but cannot interbreed. d. Two populations are isolated but occasionally come together to interbreed. Question 15 When pollution is allopatric it’s called? Question 17 Pollen grains of a plant whose 2n = 28 are cultured to get callus by tissue culture method. What would be the number of chromosomes in the cells of the callus? Question 18 Pinus belongs to the class ________. Question 20 Casparian strips are present in the ________ of the root.